This very traditional flower motif is very distinctive and recognisable in the style of William Morris. 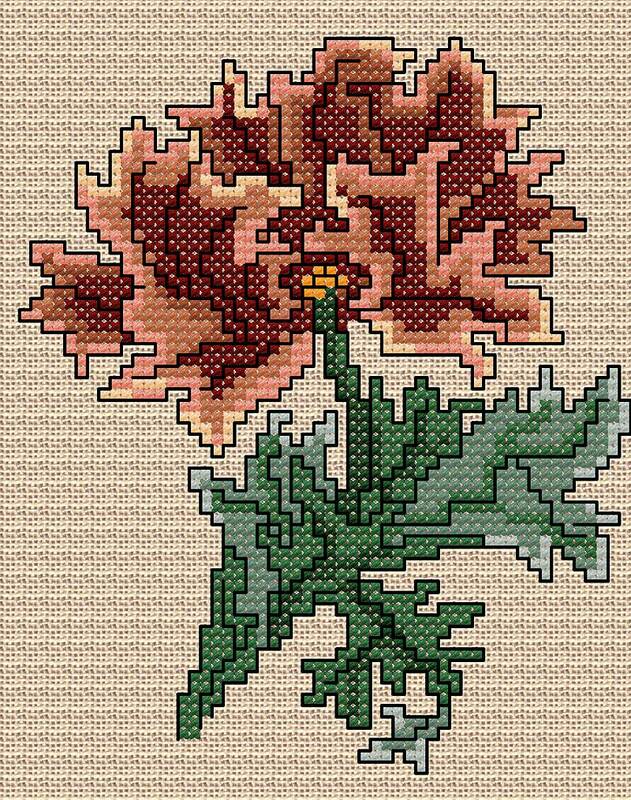 The project is stitched in counted cross stitch with a little added backstitch outline. The design could be worked on Aida or linen.